Start the School Year Injury-Free! Getting classrooms and school facilities ready for the arrival of new students can involve a lot of physically demanding work. 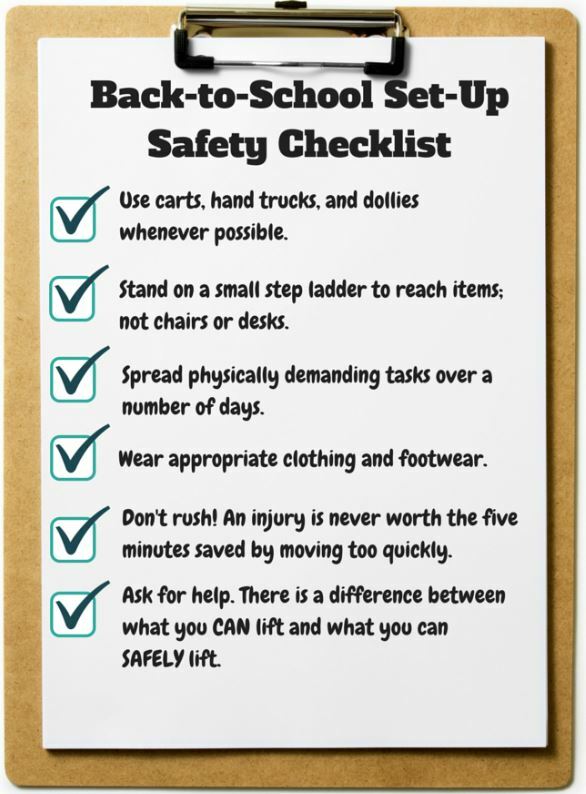 Make sure you take a few extra minutes to do things right, and avoid starting your school year with an injury!